Review of Unit 1 Playing Sports （单元整合话题复习仁爱八上） the Olympic Games basketball volleyball table tennis football sports tennis baseball running swimming sports skating skiing cycling 1.运动员 2.梦想 3.著名的 4.扔 5.举办 6.得分 7.英雄 8.现代的 9.奥林匹克运动会 10.格言 11.机会 12.金色的 13.受欢迎的 player dream famous throw hold point hero modern Olympic motto chance gold popular 擅长于 保持健康 谈论 成长 对…有益 形成，产生 尽最大努力 为…加油 9.在将来 10.参加 11.代表 12.有机会做某事 do well in/be good at （p9/p5） keep fit/healthy (p6) talk about (p11) grow up (p3) be good for (p6) come into being (p13) do/try one’s best (p11) cheer…on (p1) in the future (p3) take part in/be in/join in (p5) stand for (p21) have the chance to do sth. (p21) 1 2 5 4 Let’s play a game! 6 3 A. Listen and complete the passage. Kangkang and Li Ming are talking about the coming school ________ ________. Both of them will _____ ______ ______ the sports meet. Kangkang doesn’t like _______, but he is good at running. So he will be in the boys’ ______ ______. Li Ming does well in _______ and he will take part in the boys’ ________ race. Li Ming is Kangkang’s ______ and he will go to cheer him on. Kangkang will _____ his _____ to win. spors meet take part in jumping relay race running 800-meter fan try best 请以“School Sports Meet ”为题，参照下表写一篇文章。 要求：80词左右 1.学校要下周末在操场上举办运动会 2.穿运动服和运动鞋 3.带照相机拍照 Name	sport	dream Jack	boys’ 400-meter race	Olympic games Michael	high jump, long jump Maria	girls’ relay race	Other students	cheer …on	写作点拨： 题型分析：本篇写作时一篇记叙文。本文应使用第一人称和第三人称，时态 为一般将来时。 行文思路：根据表格所列的要点提示，分别介绍，可分为三小段。 高分点拨：本篇写作没有较难的句型，主要把握正确时态，校运动会作 为整个文章的主线，扩句成文。be good at…, take part in…, be going to…, in the future, …. School Sports Meet boys’ 400-meter relay race the long jump the high jump football swimming basketball table tennis volleyball rowing cycling tennis School Sports Meet 上周末，学校在操场上举办了学校运动会，请你根据具体内容写一篇日记。 Name	sport Jack	boys’ 400-meter Michael	high jump, long jump Maria	girls’ relay race Other students	cheer …on We learn : the future tense We can : talk about Olympic games talk about favorite sports Doing sports is good for our health. All work and no play makes Jack a dull boy. By doing sports, we can relax our body and mind. 1.我们这周日和三班将有一场篮球赛。 We _____________ have a basketball game _____ Class Three on Sunday. are going to/will against 2.当我长大了我要成为一名运动员。 I’m __________ a basketball player when I ________. going to be grow up 3.她将来要参加我运会。 She’s going to take part in ___________ ______ _________ . the Olympic Games in the future 4. He is a _________(success) businessman. Five rings are a s_____ of the Olympic Games. successful ymbol 5. The government should give every child a c_______ to go to school. Beijing h___ the 2008 Olympic Games. hance eld 6. Running can help you keep _______ (health). He practices _____(play) the piano every day. 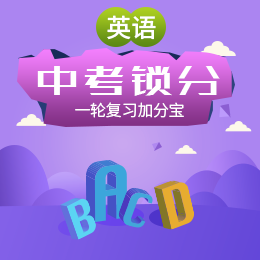 healthy playing Grammar point S（主语） + + going to + v.（动词原形）+ 其他 The Future Tense(一般将来时态) is am are be 动词 结构：1 2.由“助动词 will/shall +动词原形”构成 3.现在进行时表示将来：go, come, leave, fly, start, meet, move等 肯定式：主语+be going to/will/shall… 否定式：主语+will/shall/be not going to…. 疑问式：Will/Shall/Be +主语+(going to) …..